Paul Seaward has held the position of Director of the History of Parliament Trust since 2001. Previously, he was a Clerk in the House of Commons. 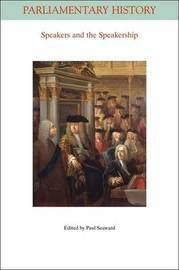 He has written on politics, history and political thought in the late seventeenth century and on Parliament in the twentieth century. His publications include The Cavalier Parliament and the Reconstruction of the Old Regime, 1661-1667 (1989); The Restoration, 1660-1688 (1991); The Politics of Religion in Restoration England (1990: edited with Mark Goldie and Tim Harris); and editions of Clarendon?s History of the Rebellion (2009) and Hobbes?s History of the English Civil War, Behemoth (2009).